In a display of strength, endurance and, at the end of the day, love of the track, Marcelo Gutierrez Villegas (Giant Factory Off-Road Team) has taken first place in the Garbanzo DH at Crankworx Whistler for the second year in a row. The Colombian rider said that the secret to his success is his love of both the course and the notoriously gnarly race. Coming through as the last rider of the day, Gutierrez's final time of 12:24:65 beat his winning time from last year by four seconds and bumped Nick Beer (Devinci Global Racing) down to second place. Beer had been sitting in the hot seat with a time of 12:43:30. Rounding out the podium was Mark Wallace (Devinci Global Racing) who finished right behind Beer with a time of 12:44:20. 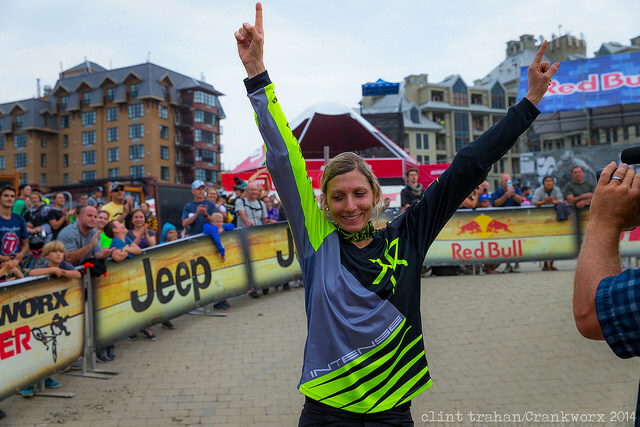 Ahead of the Pro Men's race, the Pro Women led the charge. The winner of the women's race, Claire Buchar (CAN) finished with a time of 14:22.64, a feat she says that, as a woman, she's especially proud of. Coming in second in the ladies' race was Casey Brown (Bergamont Hayes World Team), with Lorraine Truong (SUI) taking third. 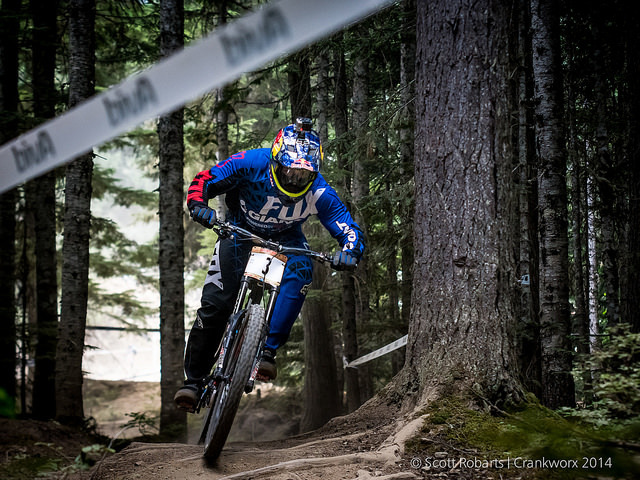 The Garbanzo DH is one of Crankworx' legendary races - it's been run every year of Crankworx and is known as one of the toughest downhill courses in the world. Descending 3400 vertical feet across seven kilometers of trail, some refer to it as a downhill Enduro race, where no less than 100 per cent will do. “It's like an adventure coming down,” Buchar said after finishing her run as she tried to catch her breath.